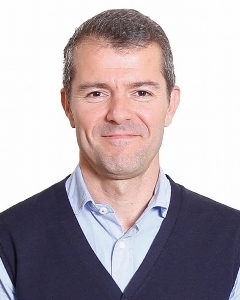 Luís B. Sardinha is Full Professor of Exercise Prescription and Functional Body Composition and Energy Regulation at the Faculty of Human Kinetics, University of Lisbon. He was trained in Exercise and Sports Science, earning a M. Sc. in Exercise Physiology from the University of Kansas, USA and a Ph.D. from the Faculty of Human Kinetics at the University of Lisbon, Portugal. In 1997 he did his post-doc at the Body Composition Laboratory, Department of Physiology, College of Medicine, University of Arizona, USA. He is the Director of the Exercise and Health Laboratory, Scientific Coordinator of the Interdisciplinary Centre for the Study of Human Performance (CIPER), Faculty of Human Kinetics, University of Lisbon, Research Group Funded by Portuguese Government, Science and Technology Foundation, and member of the Hoc Research Working Group on Body Composition, Health and Performance under the auspices of the International Olympic Committee Medical Commission. He has published over 200 peer-reviewed articles and has been investigator in some international research projects and PI in several FCT-funded projects. The focus of his research has been the development of methods of human body composition, and studying graded and dose response relationships between sedentary behavior, physical activity and fitness with physiological attributes across the life span and related mechanisms. Currently, he is involved in forward-translation research comprising web-based outreach programs to influence children’s fitness and health. 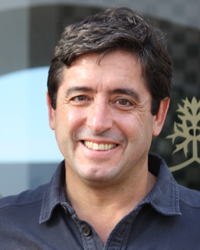 Pedro Teixeira is Full Professor of Physical Activity, Nutrition, and Health at the University of Lisbon, Faculty of Human Kinetics. He holds Bachelors and Masters degrees in Exercise Science, and a Ph.D. in Nutritional Sciences. His main research interest is the study of motivational and self-regulatory predictors of physical activity, healthful eating, and weight control. Furthermore, he seeks to apply theory to the design and testing of behavior change interventions. 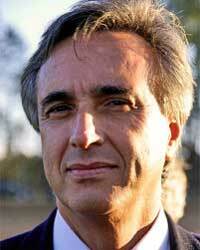 He has published over 75 international peer-reviewed articles and has been an investigator in several NIH and European Commission projects, including SPOTLIGHT and EuroFIT (FP7), and NoHow (H2020), and he was a PI for the Portuguese National Weight Control Registry and the PESO Study, among other FCT-funded projects. He is an Associate Editor for Obesity Facts, and an editorial board member for the International Journal of Behavioral Nutrition and Physical Activity, the Annals of Behavioral Medicine, and the Journal of Behavioral Medicine, among other journals. He is a past-president of the International Society of Behavioral Nutrition and Physical Activity and the current president of FMH’s Ethics Council for Research. In May 2016, he was appointed as the director for the National Physical Activity Promotion Program at the Portuguese Ministry of Health (DGS). Duarte Araújo is the director of the Laboratory of Expertise in Sport of the Faculty of Human Kinetics at University of Lisbon, Portugal. He is the president of the Portuguese Society of Sport Psychology and a member of the National Council of Sports of Portugal. His research on sport expertise and decision-making, and affordances for physical activity has been funded by the Fundação para a Ciência e Tecnologia. 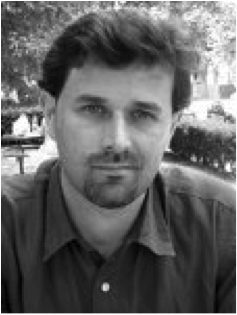 Araújo published a dozen of books and more than 100 papers in highly scientific journals mainly about expertise, team performance, variability, cognition and decision-making. Araújo supervises several doctoral students from Portugal, Italy and Australia and he has been invited worldwide to talk about expert performance. Duarte Araújo is a marathon runner.